If you’re a regular on this site and asking yourself, “Who’s Mark Majewski?”, I would say that’s a fair question. Allow me to introduce myself! 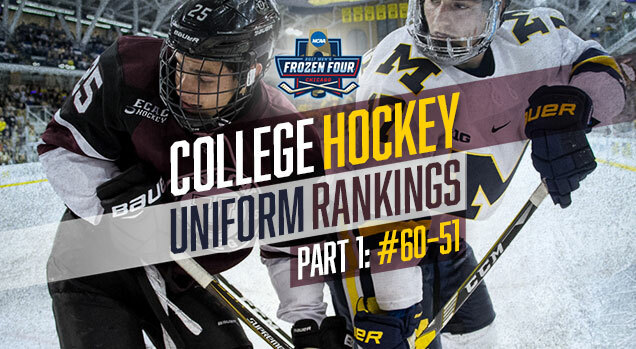 I’ve been fortunate enough to contribute a new section to Hockey by Design, including a whole new world of color, schematics, brands and other awesomeness from the world of college hockey. Why me? I ask myself that a lot. 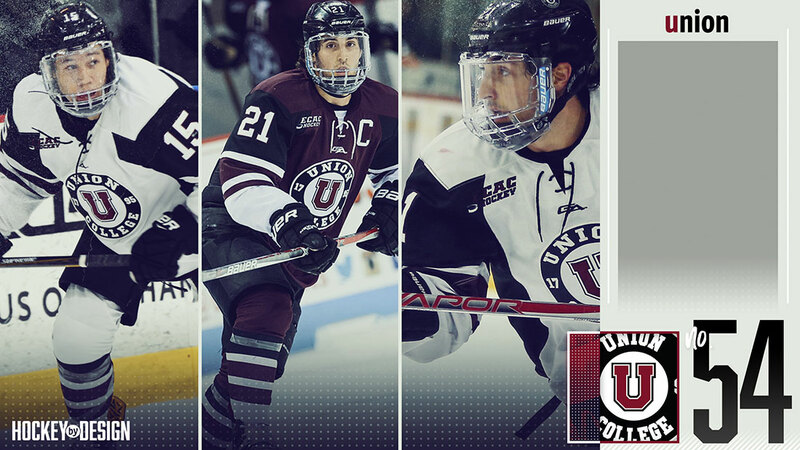 But in this instance, I have worked within the realm of college hockey for almost 10 years now and I am obsessed with uniforms just as much as all of you are. Currently, I do public relations and graphic design at Boston College and work closely with our hockey program. So, with ties to the Northeast, I must yield I’m a Midwesterner at heart and went to the University of Michigan, but I will do my best to let those biases get in the way! 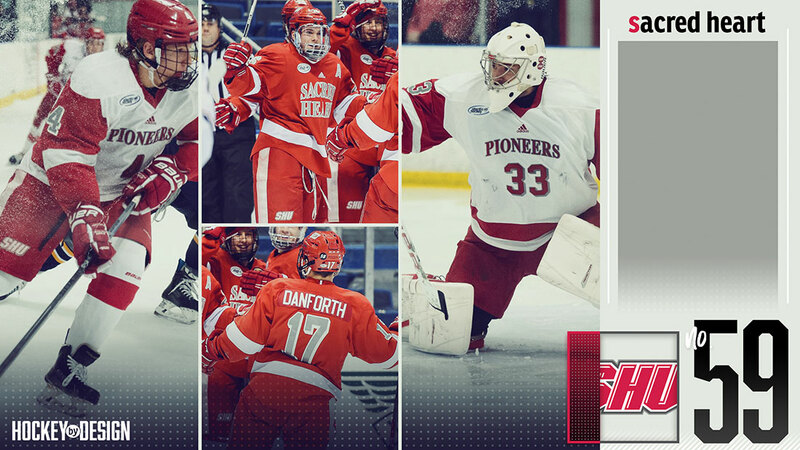 The world of college hockey is often overlooked in regards to what beautiful (and unfortunately sometimes not-so-beautiful) combinations there are out there. Much like in the National Hockey League, people like to gravitate towards tradition. I would argue that there are some traditions in college hockey that are just as strong as in the pros and I’m here to hopefully bring some of those to light. I like to take the glass half full approach and not find what I like most about a uniform before I completely nitpick certain elements that need to be lit on fire. Because college hockey ranges from very small schools and sometimes places you’ve never heard of (quick…what state is Bemdiji State located in?) to brand names like Notre Dame, Minnesota, Boston College and Michigan (okay, my bias is going to shine through sometimes – I’m sorry!). Is the uniform identifiable? Who am I watching? Does the brand immediately captivate you? Lastly, just overall look and feel: How does this color combo mesh with this set or is the shoulder patch too bunched up to the number on the sleeve…just picky little things like that. I’m sorry, Bentley. I had to do it. Someone had to be No. 60. 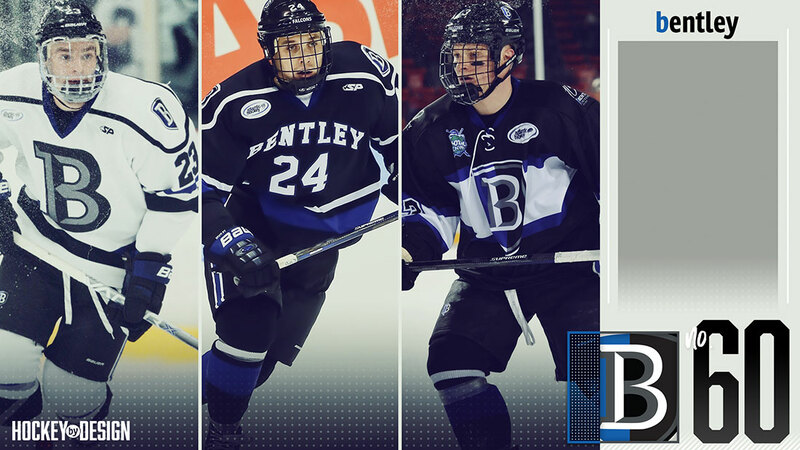 There are many other programs that have uniforms just as unsightly as these, but like I said, if you were not raised in Waltham, Mass., you might not even know that Bentley College is a university let alone has an athletics department that sponsors a men’s Division I hockey program. But like I said, I would rather start with the positives before we start with the negatives. The Falcons have a very clean aesthetic for their away uniforms. The “Bentley” wordmark is readily displayed on the chest and the consistent blue and white piping along the bottom of the jersey, sleeves and socks makes for a harmonious uniform as a whole. 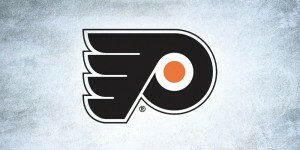 The number below the wordmark on the front is a tad bulbous for my liking, but I won’t deduct anything for that. The shoulder yokes go a bit old school as the two logos are encased in white wrap across the shoulders. The shoulder trim and the white piping on the sleeve are very close to the numbers on the sleeve so it gets a little congested there, but for the most part, this isn’t too bad. The same cannot be sad for the home and third jerseys, though. The white home jersey is adorned with a huge ‘B’ with a bevel and emboss application that is straight out of the 2002 playbook. I think if Bentley kept the same look on these whites as it did for the black kit, the Falcons would honestly be somewhere in the 30s or 40s, but this huge ‘B’ is unforgivable. Along those lines, if you were a newbie to the game of college hockey, you have no idea who is playing. I’m sorry, Bentley, but that sandwich-board ‘B’ look is inexcusable and has landed you in the basement. Quickly looking at the third jersey with the crest on it, I just think a lot of what was said about the home jersey can be applied here. The sleeve numbers are adorned with a lot of outlines in a very confined space giving that a very crowded look. As a fan of the Montreal Canadiens uniform, I like what Bentley did here, but sadly, that ‘B’ crest is not the same as the insignia that embodied the ‘Club de hockey Canadien’. There also appears to be a small logo on the shoulder on Bentley’s alternates, but we cannot quite make out what it says. 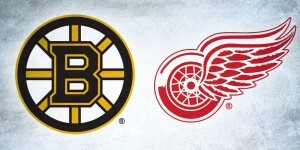 It looks to be a 100 year anniversary recognition of sorts, which is a nice touch for this outdoor game it’s playing in, but not enough to save itself from No. 60. Sacred Heart weighs in just one notch above the basement due to an overall look of just ‘blah’. The lack of clutter is nice, but the whole effort of this uniform just comes off as uninspired to me. Yes, you can tell that it’s Sacred Heart playing (on the road in its red uniform), but the home white uniform offers me a very outdated font / wordmarking with a funky shoulder line that yields zero markings. I’m all for the cliché that ‘less is more’, but that moniker does not work in this instance. If anything, perhaps a small third marking on the shoulder would make the Pioneers a little bit more identifiable in this instance. The drop shadow number selection paired with a serif wordmark is not a happy marriage on the front if you ask me. I appreciate the all-red look a little more because it at least makes Sacred Heart stand out a bit. But again, the wordmark is scrunched together on the front and just not very appealing. The two things I will compliment Sacred Heart on is (1) the back of its jersey and (2) the pants. The nameplate is easy to read (at least on the red offering) even though the number font selection does not pair well with that New York Ranger-drop shadow look. The pants are very collegiate and consistent with a solid bar down the side and the school’s emblem on the right side. I’ll take that and run with it. Here’s the good news for Minnesota State: These really aren’t that bad! I can find a hint of beauty in even the worst of a hockey jersey, but let’s be real…there are some positives about the Mavericks’ getups here. The biggest knock for me is that MSU’s home whites, despite being at home and that the fans should already know who they’re supporting, is still unidentifiable and not very collegiate looking. The Minnesota State uniform with the Maverick on it looks like it belongs more in some off-standish beer league in Halifax than on a student-athlete, but all in all, I’m a big fan of the color scheme in addition to an interesting font choice that adds some flair. Let’s have a whack at the home and away editions before we get into the alternates. All in all, it’s a clean uniform, just not very collegiate or identifiable. The consistent purple, yellow and black piping adds credibility throughout, but that logo is something I have a hard time getting over. The other knock I have on these is the shoulders. There is a very rigid cutoff, making it appears as if there’s almost like a half oval surrounding the player’s head. I find that very unappealing, especially because the eye is drawn to it and there are no other markings involved. The number font gets some brownie points only because you’re not going to find it on any of the other 59 sweaters. It would not be my primary choice, but if that’s the look you’re going for, the Mavericks pull it off in that sense. I am actually a fan of Minnesota State’s third alternate. Simple and to the point: Minnesota State in bold lettering while the shoulders are accented with the logo. This sweater works better in my opinion because I think that marking is better served as a secondary mark or an accent piece, not the focal point of the uniform. Also, the same shoulder cut is displayed on the third uniform as the home and away, but with the logo harnessed inside, I think it’s a sharp look. I’m always a sucker for off-white uniforms, too, so for me this uniform is very nice. 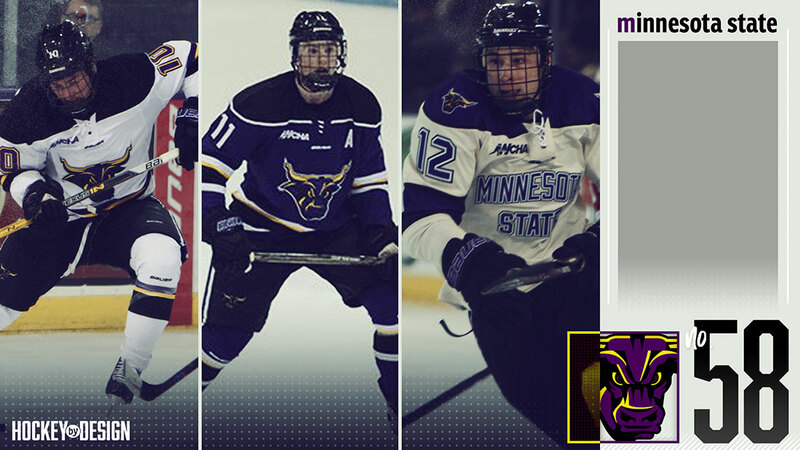 Unfortunately, that silly-looking Mavericks staring me down on the other two jerseys lands Minnesota State at No. 58. Sometimes there is one element on a uniform that throws your whole equilibrium off. Unfortunately in RIT’s case, that’s precisely what’s happening here. The color scheme is strong. For a school that’s fully named Rochester Institute of Technology, it’s actually branded very well. It even has a collegiate appeal to it that wins me over. Then you get to the sleeves. Oy vey. While I appreciate trying to think outside the box and do something different, this just does not come together for me. As a whole, RIT’s uniform looks almost more like a box lacrosse outfit than it does a college hockey uniform. The solid block in which the sleeve number is encased goes about two-thirds the way down the arm and the just abruptly stops where it is met by a rigid cuff. That block only goes down the front part of the arm and does not wrap all the way around. It’s just an odd look that doesn’t flow well for me here. 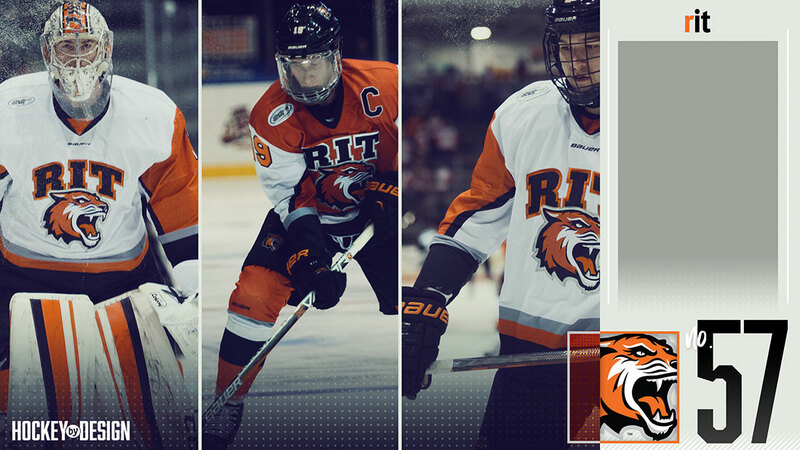 Having said that, I enjoy how the Tigers’ logo meshes well with the RIT wordmarking to offer a recognizable sweater. I also think the plain, black pant with a simple logo meshes well with the socks. I just can’t look past that sleeve. For those of you new to the game of college hockey, yes! There is a college hockey program in Alabama and we are all for inclusiveness and variety when it comes to our beloved game. Alabama Huntsville is almost like the kid brother that sometimes gets picked on but you’re always going to stick up for it just because of how proud of a tradition they have in their non-traditional setting. As far as the Chargers’ uniforms go, there’s still a bit of work to do. Let’s start with the good. 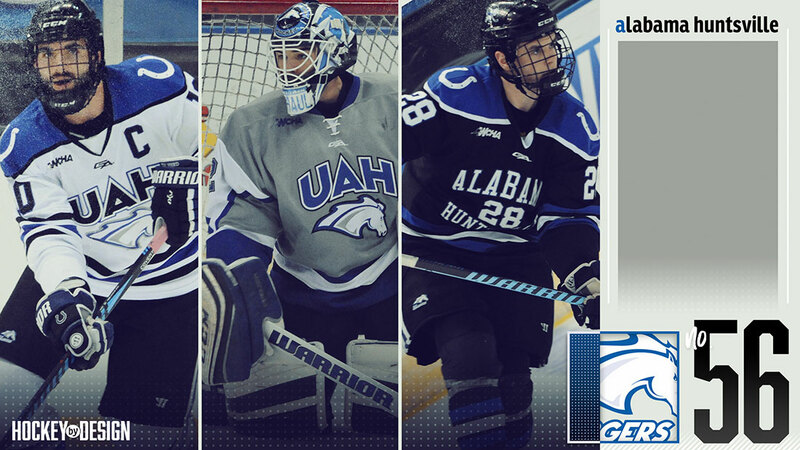 I really, really like UAH’s black uniform. It’s simple. It’s collegiate. You know who you’re playing (even if you didn’t know Alabama Huntsville was a program). The sweater nicely fits both a long school name as well as a number in tightly knit package that works. The blue-white-blue piping is consistent throughout and the black pant goes with the opposite piping and a complimentary logo, which I believe is UAH’s primary logo. Nicely done. The shoulder can be described similarly as Minnesota State’s. If Alabama Huntsville did not place those secondary marks on the shoulder, that would be cause for concern, but all in all, this is a sharp look. Now let’s get a little more critical. The grey uniform is simply not good. The sleeve issue is actually worse than RIT’s where it almost looks like a white piece of pizza with blue trim adorns each arm. We don’t need that. As for the UAH mark with the Charger below, the actual design of that isn’t the issue, it’s just that it’s not very recognizable. The ‘UAH’ lettering is a little juvenile for a college hockey sweater. I wish Alabama Huntsville went with the exact same look they did for its current home whites but instead of the wordmark, utilized the front of the sweater like it did for the black uniform. The UAH with the Charger head is fine for a third alternate, but I would not make it a primary sweater like it was done here. Luckily Canisius has a pretty formidable color scheme, because simply put, that saved the Golden Griffins from maybe landing in the cellar. Let’s start with the overall synopsis. If you’re not a college-hockey diehard or stumbling out of Duff’s, you might not know what Canisius is. (For the record, Canisius is located in Buffalo). As someone who was born in Buffalo and a die-hard Bills fan, it’s hard for me to be critical of Canisius, but there are some red flags here. I think all in all, this is somewhat of an unidentifiable uniform. If you wandered into a holiday tournament at a neutral site, you might have trouble recognizing what club is playing. The frontward-facing logo is large and just not very attractive. Collegiate looking? I think so, but from an overall design take, it’s not the easiest on the eyes. I think my biggest issue with this look as a whole is on the white uniform. 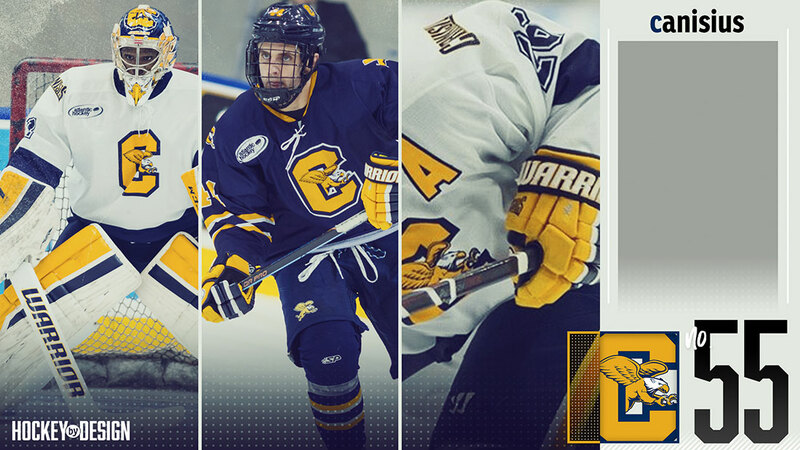 The ‘Canisius’ wordmark on the shoulder just floating on its own makes it look more like a roller hockey jersey than anything. Also, based off of these pictures, the number outlines are a little tacky, too. 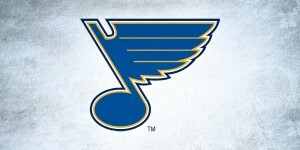 I prefer the road blue uniform mainly because that wordmark is now gone and replaced with a secondary logo. The only issue is that it almost looks as if it’s two different logos on the shoulder! That’s umm, that’s not ideal. But as a whole, this uniform just stands out more than the white one. I have seen some older versions of what Canisius used to wear, and I would strongly advise them to take a hard look at maybe going back to some of those selections. We finally stumble upon first ‘circle logo’ uniform. Sorry, Union. I cannot stand this look. I think it’s lazy and for a casual consumer of this jersey, I think it looks ridiculous when you sit down. For any fan out there that support their team by wearing a jersey, when you sit down with a huge, sewn on circle on the front, what’s the first thing that happens? It bunches up, folds over itself or contorts in some sort of way that looks dopey. But aside from the circle logo, there are a lot of other issues I have with this look. First off, the way shoulders are oddly shapen, and so much so, that the ECAC insignia is sewn half into the black portion on both jersey. Yuck. Although I give the Dutchmen credit for trying to be a little different with their piping, it’s just a lot to look at. The piping at the elbows does not match the socks. Sometimes, that’s okay, but here it just seems like there are big chunks of color everywhere on this uniform. That’s the last thing I’ll say about this. The color scheme is certainly nothing to write home about. Dark maroon and black? Some schools have that combo and pull it off well, but I think Union go use an upgrade soon. Ahhh, finally…our first sighting of script. You will learn quickly that well-formulated script on a hockey uniform is the way to my heart and Niagara pulls this off well on one of its offerings here. Let’s start with Niagara’s road black uniform. A very, very strong aesthetic as a whole is being presented. Everything is spaced well and even easy to read with two of the main colors being black and purple. I appreciate that Purple Eagles did not opt for the drawstring at the neck with these uniforms. At times, they can make a nice accent piece but I think here, the V-neck look, especially with the all-white depiction, is bold. The ‘Niagara’ script is very cleanly executed, and I really enjoy when a team places its University mark somewhere. Here, Niagara appears to put the university crest on the shoulder. If this uniform stood alone, it would be much, much higher. 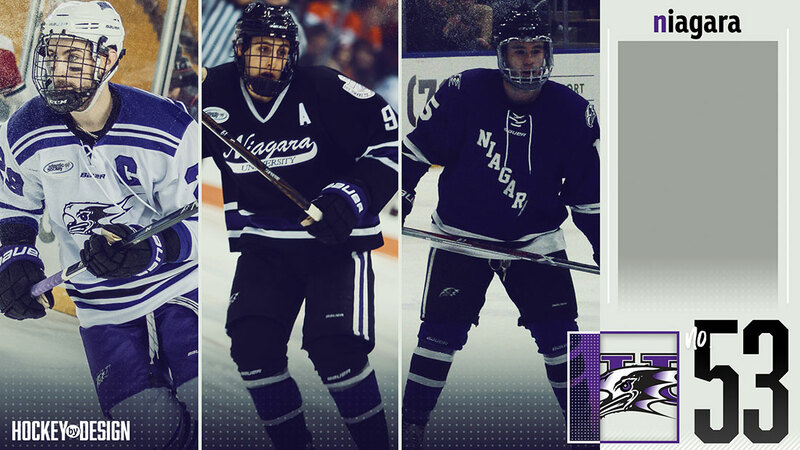 The good news continues for Niagara as the Purple Eagles offer another strong uniform with its purple alternate. The drawstring neck offering, in this case, accents the diagonal Niagara wording here. A simple jersey that is identifiable and collegiate. The last point I’ll make on these is the logos on the shoulder and pant are nice accent pieces. And that’s where I’ll stop…Niagara’s logo is not one to be blown up on a uniform, and unfortunately, Niagara’s white jersey derails all the strong work described above. It’s just not an attractive-looking logo and it’s unidentifiable to the untrained eye. I’m also bothered by the jersey piping clashing with the pants here. It just does not go well together. The New York Rangers-style shoulders are a nice look, but it’s not enough to save these eyesores. It’s unfortunate that a third alternate can saddle an overall ranking so critically, but in this instance, that is the case. 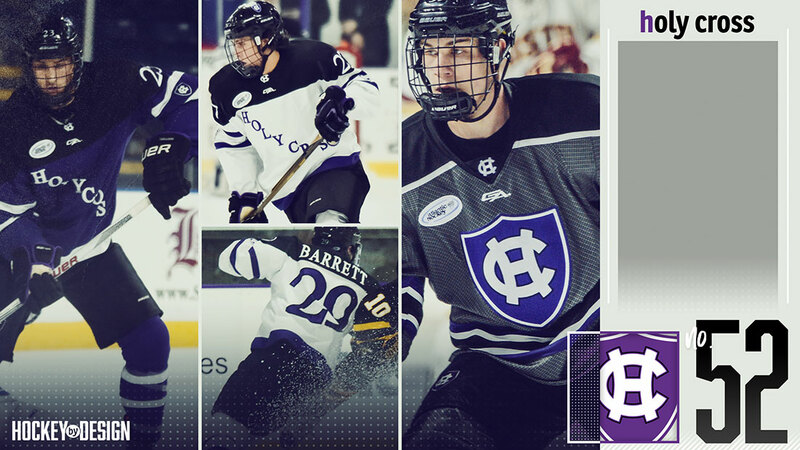 The good news for Holy Cross is its home and away look is very, very strong. The one thing that stands out to me about Holy Cross’s uniform that I haven’t come across before is the placement of the logo. We already know who’s playing based off of the diagonal etching of the school across the sweater, so the Holy Cross logo, which I think is better suited for a secondary mark, is offered in a unique spot. If you look closely, the logo is placed between the stripes midway down the arm. Normally, I wouldn’t think this would work, but the diminutive nature of the logo is still prominent enough to have an impact. I really like that unique element of the logo. I’m not the biggest fan of the lettering the Crusaders are offering here. I understand that they’re going for a almost like a medieval theme with how delicate the font is, but I just don’t think it’s suited for a college hockey uniform. The font carries over to that side and it just looks kind of funny. Credit for trying something different, but I just don’t know if the execution is there. Unfortunately, we can’t let the alternates go scot free. They are heinous. Again, I get that it’s trying to almost mimic a knight’s chainmail armor but my lord that’s not suitable for a college hockey uniform. Perhaps a roller derby or a back-up costume for the Tin Man in Wizard of Oz 2…but not here. Unfortunately, that sinks Holy Cross a bit. We have finally stumbled upon our first minimalist looking uniform on the list. To me, this is where less is more can have a profound effect, but in Colgate’s case, it’s almost a little TOO simple. Even though color schemes are extremely important, your colors are your colors. Unless you’re about to go through a significant rebrand, you’re stuck with them. It’s not like the professional ranks where you only have to worry about one team or one facility. A rebrand at the Division I collegiate level has a lot of moving pieces. Having said that, the Red Raiders got the raw end of the deal with what they have to work with. While I appreciate its very collegiate look and simple approach to the overall look, Colgate’s colors are not doing them any favors. Let’s start with the home whites. 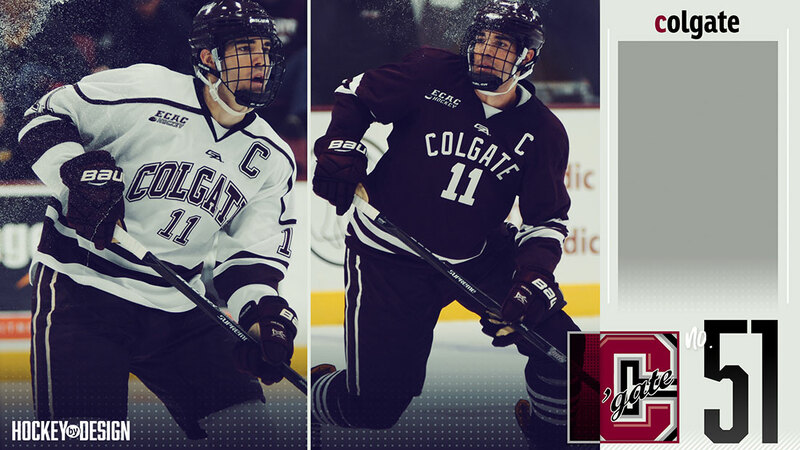 I’ve never been the biggest fan of how the name plate and number is outlined, but at the same time, I think Colgate needed to something other than just the straight maroon wordmark and number, so I’ll let this slide. The shoulder yoke outline with nothing in it is one that puzzles me a bit. I don’t hate it, but I’m not overly crazy about it on this particular uniform. As for the maroon road uniforms, it doesn’t get any more collegiate than these and I love that. It’s a clean look and there’s no confusion as to who’s possessing the puck. They’re almost a little too simple, though. I appreciate the triple-lined piping but maybe even just a small secondary logo on the shoulder would go a long way here. I know that it has the famous ‘ ‘Gate ‘ script on the helmet, but I think that would look cool either on the shoulder or the pant. A small addition to the pants would go a long way here, as well, I believe.